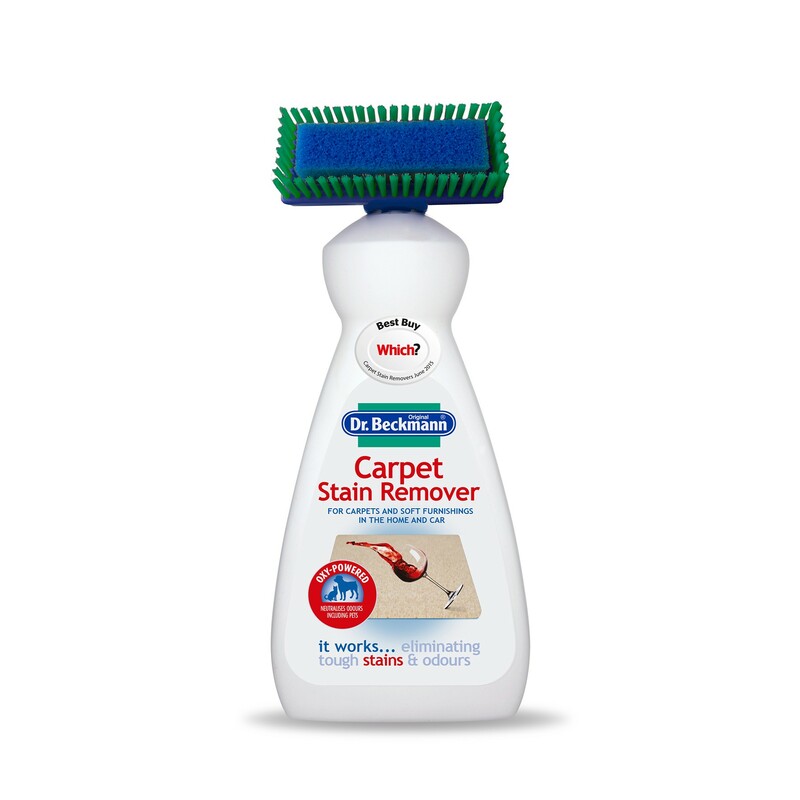 Dr. Beckmann Carpet Stain Remover uses its oxi powered formula and brush head attachment to get right to the heart of the stain. Ideal for removing stains from upholstery as well as carpets. If it can spill it can stain and things such as coffee, fizzy drinks, grease, fruit juice and red wine are all common household stains that need immediate attention. Dr. Beckmann Carpet Stain Remover is the ideal product to have in the cupboard so you are prepared to deal with any spill that occurs immediately. For pet owners the Carpet Stain Remover is an absolute must have product as the fantastic brush attachment enables you to remove tough stains and odours quickly and easily.